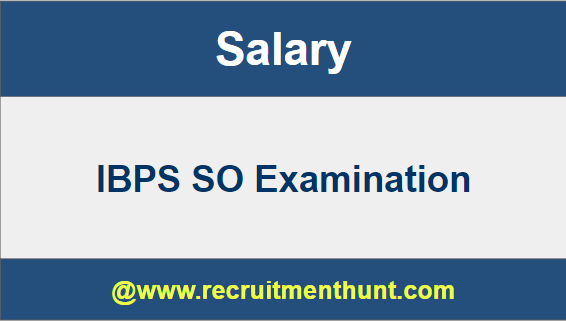 IBPS SO 2019 Salary : The Institute of Banking Personnel Selection (IBPS) has released the IBPS SO 2019 notification. It is a highly prestigious job and lakhs of candidates appear for the exam every year for various Specialist Officer posts.So, you must apply before the last day ends, i.e. 26th November 2019. The post of Specialist Officer has a challenging Work Profile and a Good Career Growth and Salary. Read this article, to know more about IBPS SO Salary, Work Profile and Career Growth including the Official Recruitment Notification. Aspirants who are appearing for the IBPS SO 2019 should plan for their preparation from now. Here we have IBPS SO Syllabus, IBPS SO Exam Pattern and also IBPS SO Previous Year Question Paper. IBPS SO Salary will be excluded with all the benefits like Dearness Allowances, House Rental Allowances and also Medical Allowance. Salary of IBPS SO IT officer salary will be based on the Experience. 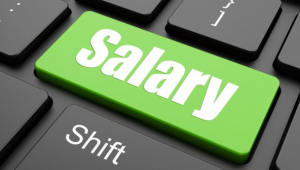 In this article, we are providing you details about the IBPS salary for Specialist Officer and various perks which are offered to it. The IBPS SO salary is decent and has good incentives. In this article, we will give a detailed information regarding IBPS SO salary structure, allowances, and incentives. There shall be many of you who are feeling excited to know about the career growth in SO officer scale grades in banks. So, don’t waste any more seconds and move. For more details about IBPS SO Salary 2018 do follow or stay tuned our website www.recruitmenthunt.com. Before we get into the detailed IBPS SO salary structure for 2019, let us look into the various posts available for Specialist Officers. IBPS is an autonomous body that conducts online exam every year for the recruitment of Specialist Officers for the above posts. The exam is conducted in three phases – Preliminary exam, Main exam, and Personal Interview. The Specialist Officers are recruited in the participating Public Sector Banks in India which pays great IBPS SO salary. Queries related to ATM, Mobile Banking and Internet Banking. Maintenance of Computer System in Bank. Take care of Network Security, Processing and Anti Virus Update. Support the Bank’s core banking system. Management of the entire IT team. Understand the core financial and banking needs of people in rural areas. Give detailed information in simple language about various banking schemes to the people in that region. Make them aware of the latest government schemes and benefit plans. Whether internal or outbound, the Rajbhasha Adhikari will have to proofread and translate all the important documents that are used or circulated in the bank. Training Bank personnel in the language that is used to communicate in that region. Make sure that all the important documents are available both in Hindi and English Language. Handle all the legal affairs of the Bank. Prepare legal documents for various processes and provide assistance in the legal issues of the Bank. Monitoring the errors and keeping the authenticity of the Bank Documents. To keep a check on Human Resource activities. Study different HR policies of the Bank and suggest changes, if needed. Involve in the recruitment process. Handle cases of misconduct and wrong-doing and consult with the superiors. Promote his Bank, bring new business deals and customers. Suggest cost-effective policies to increase Bank’s profit. Handle various Marketing Channels like Newspaper, Advertisements, Banners and Promotional Events, etc. Based on the performance, Specialist officer attains promotions. Given is the hierarchy that is followed in case of Specialist Officer. Top Management – Scale 7 – General Manager. Specialist Officer has the liberty to opt for General Banking and still keep the same position and salary. Though the speed of promotions is low, there is job security in this post and there are fewer chances of a job transfer. Finally candidates can check IBPS SO Salary and pay scale here. So, applicants can make their preparation easier by following IBPS SO Syllabus. Download IBPS SO Exam Pattern along with IBPS SO Previous Year Papers through this article. Also, for more job updates subscribe and stay tuned to our website RecruitmentHunt.